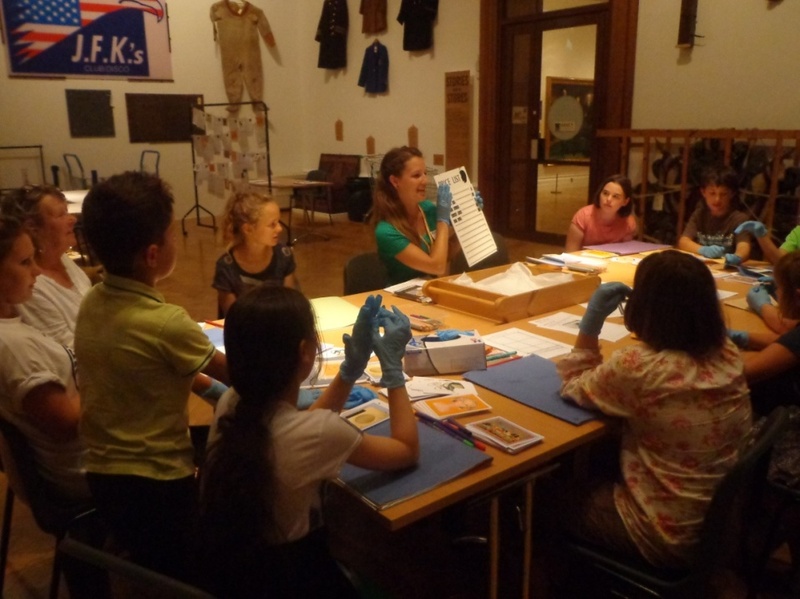 Plymouth City Museum and Art Gallery was awarded a ‘Your Heritage’ grant of £46,100 by the Heritage Lottery Fund (HLF), for an ambitious project to inform the future and unlock the hidden stories connected to the objects in its social history collection. The collection includes a wide variety of items relating to peoples’ daily lives and features over 5,000 objects ranging from fragments of buildings to televisions, radios and gas cookers to marbles and make up. The HLF funds supported an audit of the collection, enhanced documentation and improved storage, help to identify priorities for conservation work and create handling boxes for education and community outreach work. It also included an exhibition from 8 June to 24 August 2013. Our Social History curator has been working on a collection that relates to the Farley’s factory which was in Plymouth. She has been unable to identify what these objects are, so we’d like to hear from anyone that can help. They look as though they would be used to carry out a fairly specific job so we hope someone might remember using these at work! If you can help, please add a comment below or get in touch at museum@plymouth.gov.uk. Following on from our Stories from the Stores project we are looking at all the objects in the stores which are not part of the Social History collection. Over the years many local people have brought objects into the Museum for identification and loan. Some of these objects never found their way back to their owners even though they are clearly of historical or sentimental value. Other people have kindly donated objects but no official transfer of ownership took place so we cannot formally accession them. We want to make sure that everything in the stores is owned by the Museum, and to return objects which are not of local significance or of which we have other examples. Some of these objects which were brought in are of such importance to the history of Plymouth that we feel they should be in our collection, but of course we would first need the owners to transfer ownership to the Museum. We have been trying to trace the owners of the objects to request they transfer ownership to us or to return the object to them. In most cases several attempts have already been made to contact people but without success. Many people have so far collected their objects or transferred title and we appreciate their help in this process. Other people we have been unable as yet to trace. 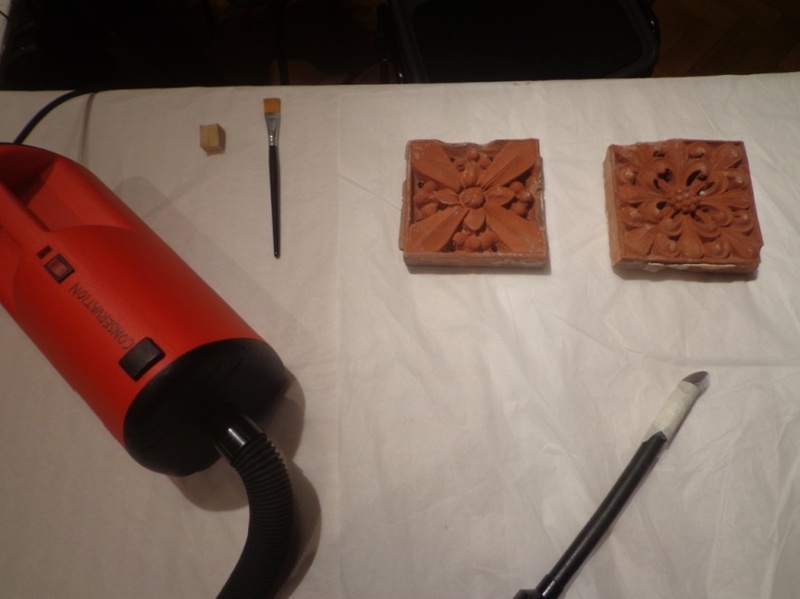 Please look through the images of the objects in the attached PDFs and let us know if you think any might be yours. These items are as diverse as Neolithic stone arrowheads, a Plymouth Gin ashtray, a sixteenth century bell, Second World War ration books, a magic lantern and many other objects besides. Please contact Florence Morgan-Richards by Tuesday 14th April on 01752 308871, 01752 304774 or via email on florence.morgan-richards@plymouth.gov.uk. Toy stories – can you help? One of the key messages from the exhibition was that visitors thought we ought to have more toys and games in the collection. We do have a few Victorian examples and we recently added to our collection of early 20th century board games, but we don’t have much from recent decades. 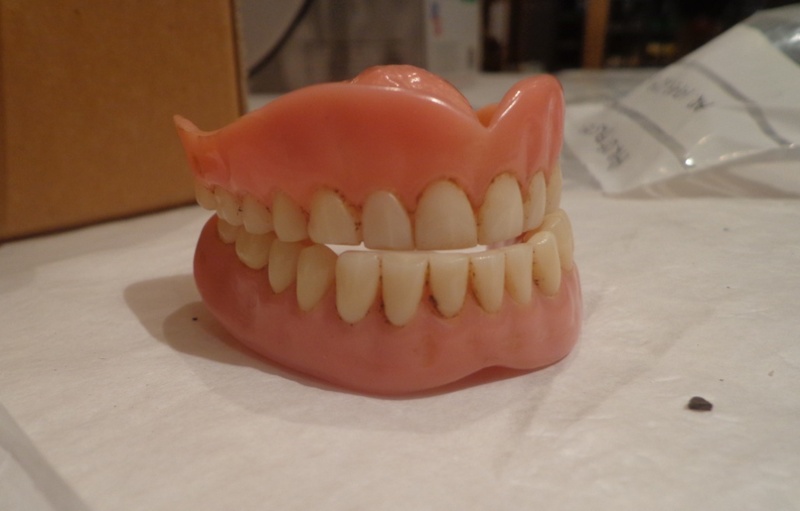 You told us that you enjoyed seeing Social History objects that were within living memory. So now we need your help to fill the gaps! We are especially interested in toys that were popular at the time and toys that span the decades such as Lego, yo-yos and Barbie dolls. Toys that relate to popular culture of the era would be very welcome, such as space toys from the 1960s, or those with a film/television connection, such as He-Man figures. Most visitors to Stories from the Stores told us that they preferred objects to have a local connection, so if you grew up in Plymouth your toys are of greater interest. We also want you to be able to tell us something about them, like who used them, whether they were a favourite toy, whether you were the first one of friends to own one etc. However, whilst we don’t want toys that were never played with, any that are falling apart will not be suitable. Please bring your toys to the museum for assessment or come along for a chat on Tuesday 2 September 11am – 1pm. Or email Rachel.Smith@plymouth.gov.uk. Please attach a digital photograph if possible. Author fionabooth2012Posted on July 28, 2014 July 28, 2014 Categories Museum, Stories from the StoresLeave a comment on Toy stories – can you help? I think it’s fair to say that a blog update is long overdue. However, I am very happy to be able to share you with some of the things that we learned from our exhibition last summer. Thank you very much to anyone who visited the exhibition and especially to those of you that took the time to come along to a focus group, fill in a questionnaire or take part in our Treasure or Trash interactive. We have learned a great deal and are now able to use what we have learned to improve the Social History collection. as was this JFK’s sign! Five focus groups were run by our Evaluation Consultant. Each group was asked what they liked about the exhibition and what they would like to see us collect more of in the future. Young people liked that many artefacts had Plymouth stories and they liked that objects were grouped by type so that you could see a timeline of some items. They would like us to collect more domestic items, items made in Plymouth and gadgets, especially games consoles. Retired people appreciated the minimal interpretation and the opportunity to think for themselves. They also liked that most items were in living memory. They would like us to collect objects relating to childcare and motherhood, hobbies and especially related to shopping. Friends of PCMAG enjoyed the chance for visitors to talk to staff and the element of nostalgia – they thought it was fun to see every day items. They would like us to collect more objects related to local employers and transport, and especially kitchen equipment. Traditional Crafts Group liked the feeling of being backstage. They were drawn to objects that reminded them of people, places or their own childhood.They want us to collect more packaging, domestic items, toys, and especially items connected to changing fashions. Plymouth workers liked that the objects were themed, and also said it felt like a treasure hunt for children because you have to find things for yourself.They would like us to collect more objects related to Plymouth manufacturers, toys, farm equipment, and especially items to represent a 1950s Plymouth home. Of 114 forms completed in the gallery a large majority were suggesting items of treasure. The most popular items were the prams, the ‘big gun’ (World War I anti-tank gun) and the doll’s house. The JFK’s disco sign, the barber’s chair and the Bush televisions were also well-liked. There were very few recommendations for trash: the plough was the only object to get more than one vote and that was because it stood out as a rural life object in amongst a mostly urban collection. Suggestions for what we ought to collect, or should have more of included technology (such as computers and phones), sports equipment (such as golf clubs and football kit) and toys and childhood related objects (such as school days and teddy bears). I’ve just given a quick overview of the feedback we received, so as you can see we learned a great deal. We already refer to this feedback when we get offered objects for the Social History collection and it will be useful when we undertake reviews of different part of the collection. But the fun part will be to begin collecting some of the objects that you told us were missing from the collection. Since our Stories from the Stores exhibition finished, staff and volunteers are still busy working on the social history collection. Work has continued on the audit, adding information and images to our database, and looking through some stories you left whilst visiting the exhibition. We also got some very detailed information about this object in particular, which is a DAC90A. 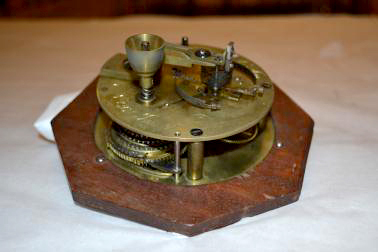 Mr Saunders, who worked at Bush in various departments from 1949-1967, saw it and remembered that, “the older version used larger valves, but then Mullards (from where we received the valves) produced a smaller all glass 8 pin valve, thus ensuring a smaller radio (and also better ventilation)”. You can read more about some of our other Bush objects such as our Music Centre or TR82C. If you’d like to share any more thoughts, then we’d love to hear from you. In May, before leaving my homeland Lithuania I had visited one very bright priest, who was an ex-parson of my home-town parish. I was writing an essay about the history of my home-town church. That’s why I needed to visit him. I bragged to him that I am going to do an internship in England in a museum for whole summer. Later he said: I am jealous of you, I love museums. When I visit a museum I get new ideas and inspiration. He added that those nice sculptures which stand now in front of our church were an outcome of one of his visits to a particular museum. The experience which I get whilst volunteering in Plymouth City Museum and Art Gallery is very varied. Literally, I have a touch to England’s and World’s social history by auditing, cleaning, photographing and packing objects from the Social History collection. Most of the objects are local, but there are some which came from different countries, as for example British-Indian passport or photographs of Istanbul during First World War, which were taken by a British army officer, coins from Canada, Hungary, Argentina, France which were in use in 19th century…and lots of the other interesting things! Yesterday I handled a Bible which was printed in 1643. It was the oldest book which I ever had in my hands! Other kinds of experiences are collecting stories and feedback from visitors. The majority of ladies indicate prams as their most favourite objects on the display and the majority of gentlemen state that the guns display is their favourite. The diving suit, JFK’s nightclub sign, “Ha Penny Bridge” sign are very popular as well. Most frequently people are curious about “the exercise bikes” and the “cot bed with Jesus in”. However, my most important impressions are related with people who I met whilst helping in the gallery and being “across the road”. I was amazed by the members of staff work and administrating the volunteers. It is very nice to see how attentively they communicate and lead all work. That is a good example of a leadership. I am having a very good time with all the volunteers. I will not forget the lady from Scotland who I volunteered with and who taught me a Scottish phrase “she doesn’t like grass growing under her feet”. With another lady Sheila I skived off one afternoon and went to Mount Edgcumbe. With another lady Irene I had unexpectedly nice afternoon in Mount Batten where we went by water taxi. With other volunteers we liven our work by having interesting conversations in different subjects. One more very useful and interesting experience I had was story telling for students from summer school of arts. Project assistant Laura picked several objects for me which have very interesting stories: a wood carving from Miss Pinwill collection; a table knife which belonged to T.E. Lawrence known as Lawrence of Arabia; a barber’s shop price list and a silver snuff box with wooden container which was presented for local surgeon for devotion to his patients during a cholera outbreak in 1832. The idea of the school children’s visit was to understand, that even though some objects in a museum look ordinary, they can have very unusual and interesting stories. I found this experience most useful and challenging, keeping in mind that I am going to be history teacher. It is very nice to see how museums in UK do their best to involve visitors in interactive activities. I enjoyed participating in “Big Knit”, “Adventures in music” events and school sessions. It was useful to find out about “Discovery desks”. I have never seen such activities anywhere. During the time spent in a museum I definitely changed my opinion about museums. Back to the introduction of my post, now I understand what the priest meant. I got dozens of ideas for my future work in school and I will definitely try to realise them. I would like to encourage all who are even a little bit interested in history to be involved in volunteering in a museum! I had my very own ‘Super Saturday’ in the Stories from the Stores gallery on the July 27th. We had lots of visitors, lots of interaction and some very interesting discoveries. Here is some information about what was found! One of our objects, labelled as a ‘Lace Table Runner’, was not familiar to any of the staff. However, it was recognised by a visitor as a device for winding bobbins, for lace-making. She could even show us how it would have been used. Secondly, we have been able to identify the purpose of one of the more curious items listed as an ‘agricultural implement’ – a sewage pipe stopper!! Our one is similar to the following picture. They are still in use today and haven’t changed much in design. This was identified by a visitor to the Gallery who is a ‘Water Engineer’! He gave me a description of how it works too which I’ve recorded in our gallery notebook. Thirdly there is my favourite discovery of the day. 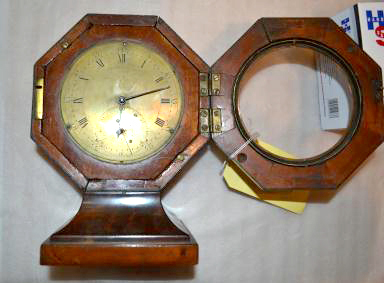 A visiting Antique Clock Restorer from Cirencester identified AR.1991.400.333 (we have it listed as a clock) as a very interesting early Marine Chronometer. It was made by John Arnold & Son, one of the first companies to successfully produce accurate chronometers, around about 1790-1810. They were used by the British Navy, foreign Navies and even Napoleon. Ours is labelled no 86; number 12 is in the British Museum. Ours has been adapted (at some point) to be used as a regular clock – a stand has been added – they were originally used flat. I hope to some further research on this, as apparently there aren’t too many out there! I’d like to find out if possible, what ship it was intended for. All in all, a successful day in the gallery!